2 cu. ft. Black Landscape Mulch B1 for $3.48 Get 1 FREE!!! (Limit 20 bags per customer) While supplies last!! 32 oz Windex Glass Cleaner $2.98...Plus get a FREE 2 liter refill with purchase! To view your local ad...click here and enter your zip code! Probably best to head to The Home Depot sooner than later...as I am sure they will see many customers over the next few days!! Well, today Buy.com has this Rival 6-Cup Rice Cooker in Red for just $10 shipped. This particular rice cooker features an external steaming basket and a removable nonstick bowl for easy cleanup. Includes a measuring cup and rice ladle. There are no reviews on this rice cooker on their site, but other sites feature the same rice cooker with great reviews!! Remember, you can also steam veggies in a rice cooker as well!! Today's deal is save 80% off a 4X6, 5X7, or 8X10 Collage Prints PRINT. To order online simply enter coupon code: COLLAGE80 at checkout. Choose in-store pick-up to avaid shipping fees. Or Click here to print your coupon to use in-store. Remember this great photo deal is valid today, Thursday 4/8 ONLY!! If you have a TCBY nearby click here to join their email club and after sign up, you'll receive a coupon for a FREE Waffle Cone!! Mmmmm....ice cream!! If you are like me you always have a water bottle with you wherever you travel. What can I say....I get thirsty frequently!! Perhaps you are in need of a new reusable water bottle? Or maybe you have yet to purchase one? Well, Kohl's has this EZ-Freeze Flip 'n Flow Sports Bottle on Clearance for just $3.89, down from $12.99. They have 3 colors to choose from too! Plus, if you pay using your Kohl's Card use coupon code: aprilmvc at checkout to save an additional 15% off bringing the price to $3.31. 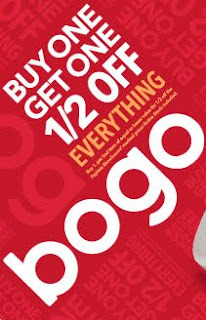 Kohl's is currently offering 99 cents standard shipping on every item. 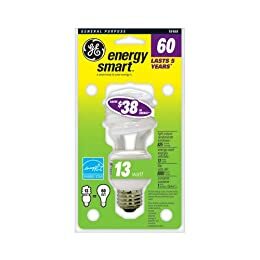 This week Target has select GE Energy Smart Lightbulbs on sale for $2.99. Target has a store coupon for $2.00 off 1 pack here. Plus, there is a $1 off manufactures coupon here. So after coupons the bulb will be FREE!!! These are great to have on hand when a bulb goes out!! There is a new coupon for $1 off one Nestle Tollhouse Refrigerated cookie dough here. You can usually find these on sale for just under $2...so after coupon pay just a little under $1. These are great to pick-up for those days when the kiddies like to help bake cookies. My kiddies love to not only break and bake them but also love to eat and share them with their little friends as well!! "Tis the season for summer sandles and flip flops...YIPPEE!!! Can you tell I'm so excited about this!! LOL LOL Well, just in case your in need of a few new pair of shoes for yourself or another in the family, right now Payless has their Buy 1 Get 1 Half Off sale going on now thru May 3rd, 2010. If you to choose to shop online, a great way to be certain they have what you like in stock, you can save even more with a coupon code!! To save 20% off your Entire Order (Exp. 4/18) use Payless Coupon 31491 at checkout. Or to save 15% off (Exp. 04/30) use Payless Coupon Code 30576 at checkout. Payless offers flat rate shipping for $5.95 or eliminate shipping fees by using their pick-up in store option!! If you are like me, your always looking to add a new tune or two to the Ipod playlist! Well, today only you can download the song "Use Somebody" by Kings of Leon!! Simply click here to get started. Remember, this freebie is good today, 4/6 only!! There is a new coupon to save $3 off 2 Sundown products here. It expires 6/2/2010. These periodically go on sale for half price at Shop Rite from time to time....just a heads up in case you have one nearby! The list of Kmart stores participating in doubles is available HERE. Kmart is super doubling now thru this Saturday 4/10/2010. 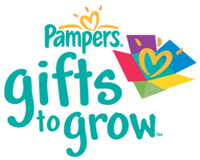 If you are collecting Pampers Gifts to Grow codes here is a new one you may want to add to your account if you have not already: Apr2010Facebook. This code will add 10 points to your account. They have just recently changed their points system...meaning 10 points now equals (1) point on their old point scale. You can see the details here. Not sure how the Gifts To Grow codes work? Click here for all the details!! This week Walgreens is featuring 7 Days of Photo Deals. For Tomorrow, Tuesday 4/6 they are offering a Single Image 11x14 Poster for just $1.99!! What a Deal!! You must print this coupon here and take it it with you for discount to be applied. Limit one coupon per customer. Remember, this coupon is valid for tomorrow only!! I know around here the weather has been so beautiful and warm, perhaps it's time for some ice cream!!! Have a Dairy Queen around? Well, if so if you become a fan of them on Facebook here you can get access to a coupon for BOGO Free 16oz. Blizzard. Simply click on the Party Tour tab to sign up for your coupon!! Your coupon will then me emailed to you almost immediately!! Are you a regular coffee drinker? Do you prefer to use Coffe-Mate in your cup of Java? 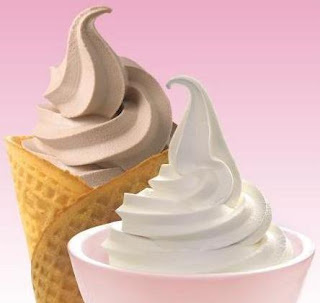 Well, there is a printable coupon here for BUY 2 GET 1 FREE when you purchase any two (2) 15oz. or larger packages of Coffee-Mate Liquid or Powder Variety. You will need to register (Just takes a second) to be able to print the coupon. Coupon expires 30 days from print date.